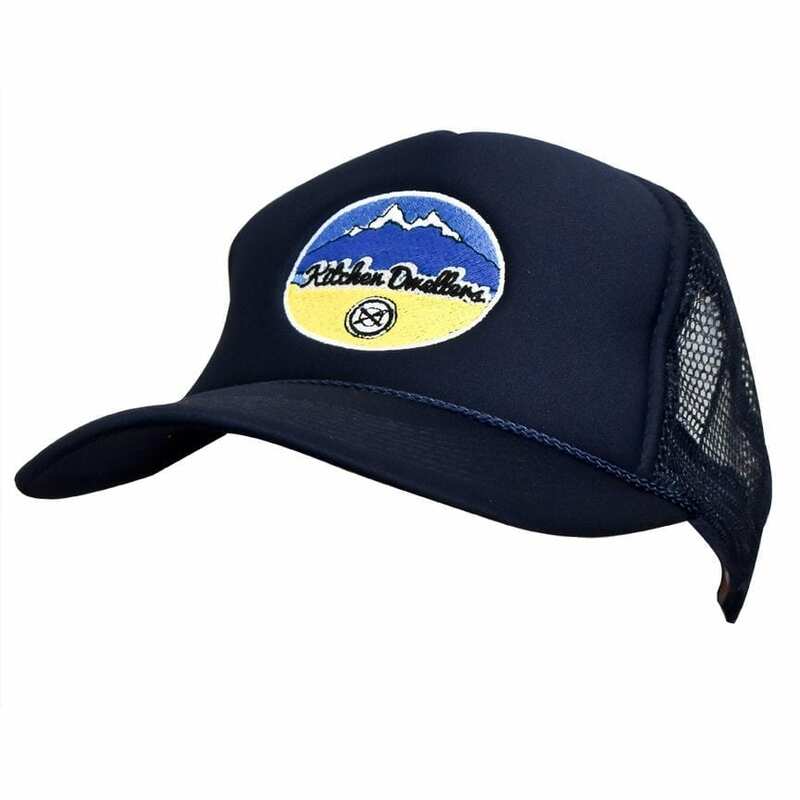 Navy blue 5-panel foam front trucker cap is embroidered front and center with the Kitchen Dwellers colorful I Wish I Was A Mountain oval-shaped logo. Cap is lined poly front with nylon webbing and adjustable snap back. Curved brim of cap features matching navy cord and undervisor.